The Hagman Group, Inc. is an architecture and planning firm located in Menlo Park, California for the last 30 years. Founded by the principal William Hagman, A.I.A., the firm has planned and designed numerous projects in the greater Bay Area with a real understanding of the unique requirements for product marketability and cost effective design. The spectrum of projects is diverse, ranging from office and research and development to commercial retail and tenant improvements. Quality service to its clients continues to be the firm’s guiding principle. While striving for innovative and eloquent design, the firm stresses functional practicality and stewardship of the client’s resources. Client satisfaction resulting in repeat projects and a high number of referrals indicate success in achieving this goal. 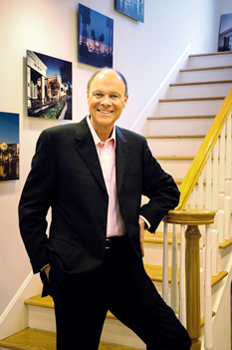 Dennis Meidinger has been a member of The Hagman Group for over ten years. He is a license architect and LEED Accredited Professional (AP). Dennis is involved in all project phases, from design and construction documents to construction administration. He has forty years’ experience in commercial office and retail in both shell construction and tenant improvements.